When we booked a trip to Universal Orlando this summer, I wasn’t overly concerned about Harry Potter or my families lack of knowledge of all things Hogwarts. After all Universal is a big park with plenty to do that doesn’t involve Harry Potter. But then in May, I went to Universal with my friend Shell who schooled me on all things Harry Potter and I felt a bit confused and left out of the magic that is The Wizarding World of Harry Potter. When I got home from Universal I was on a mission to introduce my son to Harry Potter. I wanted to jump right into the movies with my son but friends convinced me that we had to read the books first. Since we started reading the books I’ve had friends ask a lot of questions about the experience. 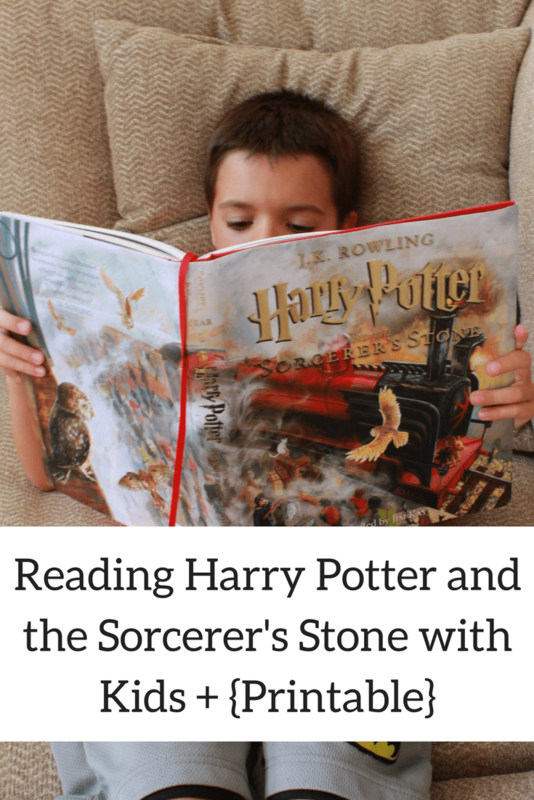 So I wanted to share my experience reading Harry Potter and the Sorcerer’s Stone with my son, Jackson. Check Common Sense Media to get an idea of when to start each book and what to expect from each book and movie. 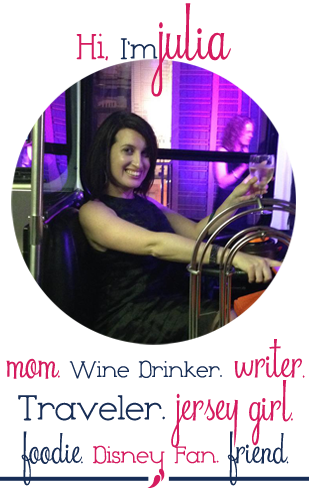 This is just a guideline go with your gut about what your kid can handle. Jack didn’t find the book to be scary but he did think the end of the movie was. I highly recommend getting the illustrated edition of Harry Potter and the Sorcerer’s Stone , it is easily worth the extra money. At moments when I was afraid the book was losing my sons attention, the pictures drew him back in. The book is beautifully illustrated and we often spent several minutes looking at the pictures. Set your expectations low, these books are longer than what most kids have read so far. Take it one page at a time, if they get bored or tired, take a break. The author is British and there were several times were a few word were confusing to Jack since they weren’t familiar. If I caught them in advance I changed them to the American version to make it easier. The book gets scarier as it goes on. So if your child is particularly scared by any chapter, you might want to stop reading. The first few chapters are a bit slow, but by chapter 3 when the letters started to arrive, my son, became intrigued to find out what would happen next. The author is British and there were several times were a few word were confusing to Jack since they weren’t familiar. If I caught them in advance I changed them to the American version to make it easier. The book gets scarier as it goes on. So if your child is particularly scared by any chapter, you might want to stop reading. Harry Potter and the Sorcerer’s Stone gets scarier as it goes on. So if your child is particularly scared by any chapter, you might want to stop reading. An encounter with a scary character and a dead animal in the woods. Plants that grab at the children. Chess pieces that destroy each other. A character willing to get hurt to save his friends, and not knowing till later if he is OK. When the villain is revealed his looks are scary. One of the biggest struggles we had reading Harry Potter and the Sorcerer’s Stone was keeping track of the characters. This is the first long format book my son read / heard and often through out the book, especially the first few chapters, I had to remind him who was who. I kept thinking this would be so much easier if I had a book mark with all the characters. 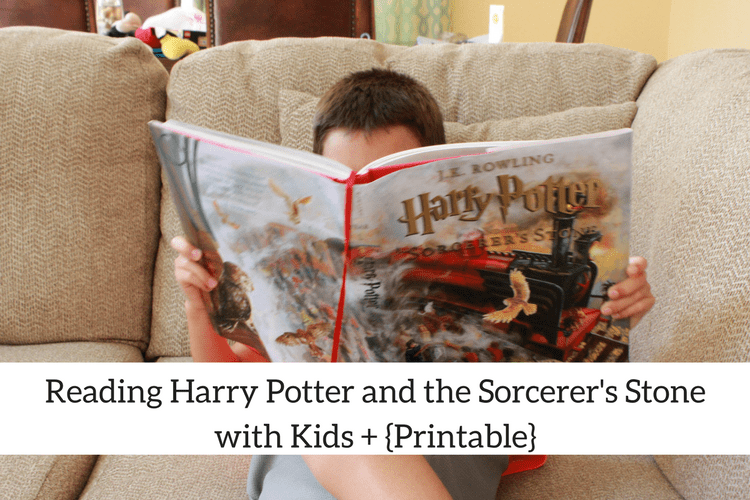 I put together this printable Harry Potter and the Sorcerer’s Stone book mark so that other families, that read the book together could have an easy character guide. Six and a half may be seen as a little young to start Harry Potter, I was really glad that Jackson and I had the experience of reading the book together. It was fun discovering the story and characters together. We are now a third of the way through the second book and enjoying the experience even more than the first book.